Once again NXT has arrived and is about to do what it does best! Welcome to NXT TakeOver: Orlando! We’re back at the Amway Centre in Orlando after last night’s Hall Of Fame ceremony, as NXT looks to once again steal the hearts of the fans before WrestleMania. It was announced earlier today that William Regal will be revealing all-new Championship belts on tonight’s show, which seems like a nice time for some refreshing of the NXT look. Speaking of titles, tonight’s main event features an NXT Championship rematch between Bobby Roode and Shinsuke Nakamura. Last time these two went at it, Roode walked out as the new Champion and Shinsuke didn’t walk out at all. Now Nakamura is back from injury and looking to regain his title and dethrone the Glorious one. Also looking to do some dethroning tonight is Ember Moon. Asuka is undefeated in NXT and has the longest title reign in the entire history of the promotion. Asuka has started to get cocky, which usually signifies a downfall, however Asuka is slowly closing-in on Goldberg’s 173-match unbeaten streak. Ember Moon represents a very real threat to Asuka, who is perhaps ready to jump to Raw or SmackDown, however it might be a little too soon for the War Goddess. The Author’s of Pain are the NXT Tag Team Champions and it’s unlikely that any one team could beat them. However tonight, they will have to fend off two teams in order to retain their gold! That’s right it’s Author’s Of Pain Vs. D.I.Y Vs. The Revival in a Triple Threat Elimination match that has all the ingredients to blow the roof off of the Amway Centre. Can AOP beat both teams and prove themselves the most dominant team in NXT history? We shall find out soon. Elsewhere on tonight’s card, we have Andrade Cien Almas, who has really found his groove as of late, taking on newcomer Aleister Black. And finally, a huge 8-man tag team match between SAnitY and Tye Dillinger, Roderick Strong, No Way Jose and Ruby Riot. That’s a pretty great card, despite not having a great build-up. I wouldn’t be surprised to see NXT steal the show as always, particularly the tag team titles match. Which match are you most excited for? 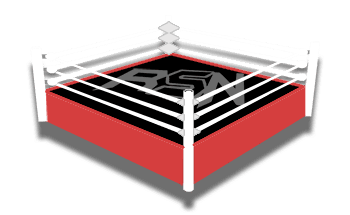 Let us know in the comments, check out the free Ringside News app on Android or iPhone, and, as always, enjoy the show!